The Affordable Care Act requires health insurers to spend more of the premium they collect on patient care and quality improvement activities or pay a rebate back to consumers. How much you ask? Well, it depends on the insurance plan you selected. Only two insurers in Washington state's individual market didn't meet the new standard (called a medical loss ratio) - Regence Blue Shield of Oregon and Time Insurance Company. A total of $792,846 in rebates will be disbursed to 9,605 consumers in our state. Amounts may vary, but the average rebate per family is $122. Send a refund check in the mail. Deposit a lump-sum reimbursement to the same account that was used to pay the premium. We recently posted two job opportunities at our Tumwater office. The first is an Insurance Enforcement Specialist, a civil service-exempt position in our Legal Affairs division. We are looking for someone to provide legal perspective to employees and to lead agency work groups in specialized areas of insurance law, rulemaking, legislation and strategic planning. This position, along with other staff in Legal Affairs, works on enforcement of state insurance rules and laws and participates in case work, hearings and court proceedings. The person in this position will work closely with assigned counsel from the state Attorney General's Office and will collaborate with representatives from other state agencies and partner organizations. Candidates must have a degree from an accredited law school, be licensed to practice law in Washington state and have a least six months of administrative litigation experience. Desired qualifications include experience with complex state or federal regulations and familiarity with insurance law, financial examinations, auditing or accounting. The position is open until filled. View the full description and apply at careers.wa.gov. The second position is a Functional Program Analyst 4 working with the property and casualty unit in our Consumer Protection division. The person in this position will help educate consumers about insurance in Washington and will help consumers resolve disputes with insurance producers. This position acts at the subject-matter expert on insurance and disasters and will support the agency's liaison to the Washington Emergency Management Department. The person in this position will also work with the division's IT liaison on live chat and business processes. Candidates must have a bachelor's degree or additional qualifying experience substituted year for year and specific experience with consumers, compliance and governments. This position closes on Aug. 4. View the full description and apply at careers.wa.gov. Wildfires are burning in several areas of Central and Eastern Washington, triggering a state of emergency. As of this morning, according to Washington State Department of Natural Resources, 1,200 homes have been evacuated in 12 towns. Sections of Highway 2 and State Route 20 are closed while crews battle the largest wildfire in the state’s recorded history. For news and information from agencies and organizations involved in the fire response, follow Gov. Inslee’s wildfire list on Twitter. For breaking news about the fires, follow #waWILDFIRE. Gov. Inslee also has a webpage with Washington wildfire resources. OIC has tips for filing a claim after a natural disaster and how to find disaster resources. Policyholders who have lost their homes to the fires are immediately eligible for additional living expense (ALE) coverage which may reimburse for increased living expenses such as, lodging, clothing, toiletries and other necessities. Policyholders who are evacuated for a period of time by state or local officials, and do NOT lose their home, may also be eligible for ALE reimbursement if the home next door is damaged by fire, and civil authorities prevent you from returning to your home. Remember to keep your receipts so it will make the claims process easier. Make a list of all of the damage and any resulting expenses. Keep receipts for anything you buy so you can submit them to your insurance company later. A homeowner should not throw things away until an insurance company representative has had a chance to assess the damage and make a claim report. Consumers can also seek help with their insurance or ask insurance-related questions by calling our consumer advocates at 1-800-562-6900 or contacting us electronically. This weekend is the Seattle-to-Portland bicycle ride, when an estimated 10,000 bicyclists will take to the roads and trails that span the 200-mile route. An estimated 80 percent of the riders will camp overnight in Centralia, which is the midpoint on the ride. The rest will finish the ride in one day. Ouch. Drivers in and between Seattle and Portland should be extra alert for cyclists this weekend. There are many road closures related to the ride and there is likely to be heavy traffic at both ends of the ride. Here are some insurance considerations for drivers and cyclists alike. What happens if there is a collision between a cyclist and a car? Auto insurers are required by law to offer personal injury protection (PIP) when you buy an auto policy. It covers, up to certain limits, expenses like medical bills, loss of wages and loss of services. PIP applies no matter who is at fault—so even if the accident isn’t the driver’s fault, PIP will pay for covered expenses. You don’t have to purchase PIP, but if you don’t reject it in writing, your insurance company has to add it to your policy and charge you for it. If you aren’t sure if you have PIP, contact your agent or broker. You can read more about PIP, including who it covers and certain exclusions. Cyclists who have PIP on their own auto policies could also invoke their own coverage, but it would be secondary to the driver’s PIP. What happens if my bike is damaged or stolen during the ride? Bicycles typically are covered under homeowner and rental polices if they are stolen, lost or damaged in a residential fire. If the damage is related to a collision with a vehicle, the driver’s auto policy may cover the loss if the collision was the driver’s fault. If you own several very expensive bikes, you may want to talk to your agent or broker about coverage options and whether there are policy limits on bicycles. Best of luck to all of the riders and be safe, whether you are driving or riding. A new rule took effect July 3 to eliminate waiting periods for transplants. Before the change, insurance companies could impose a waiting period for transplants of no longer than 90 days. OIC undertook emergency rulemaking to bring state insurance rules into alignment with the federal Affordable Care Act. Under the ACA, transplants are one of the essential health benefits, which are required benefits under the Affordable Care Act. The new rules don’t require health insurance plans to modify their policies mid-year, but they do require plans to identify and notify enrollees who may be affected by this rule change. Starting in 2015, health plans will remove transplant waiting periods from policy language. This rule change was widely supported by insurers, medical providers and consumer advocates. You can find the concise explanatory statement with the comments and the final rules on our website. Do you have emergency management experience? Apply at OIC! OIC is hiring an Emergency Management Program Specialist 3, who will be responsible for the agency's emergency preparedness and for building and maintaining strategic partnerships to minimize impacts to agency business and consumers resulting from major emergencies and disasters. The Emergency Management Program Specialist 3 is the agency’s expert in all matters related to continuity of operations, emergency management planning and interacting with state and federal emergency management agencies and programs. The person in this position is responsible for agency disaster recovery, and providing day-to-day operational support and assistance for facilities as well as serving in a back-up capacity for telecommunications and facilities matters. Required qualifications include a bachelor's degree; and three years' experience working with government statutory and/or regulatory requirements, emergency management planning and exercises. Desired qualifications include experience working with state and federal emergency management agencies, experience developing continuity of operations plans and experience working with decision-makers. This position is open until filled. Summer is a busy time on Washington roads and many people will be traveling this holiday weekend, which is a three-day weekend for a lot of us. Before you hit the road, it’s important to understand your auto insurance policy. Always keep a copy of your current insurance card, along with your registration and any other paperwork you keep in the car. Ask your insurance agent to explain the important elements of your policy to you, including your deductible and liability limits. You may even want to consider adding uninsured or underinsured motorist coverage to your policy if your insurance company offers it. This clause could help protect you if you are in an accident with an uninsured or underinsured driver, and the accident was their fault. If you are the parent of a teen driver, sit down with them and talk about the risks of unsafe driving before you hand over the keys. Research shows that teens whose parents establish rules associated with driving privileges are less likely to get in a crash. 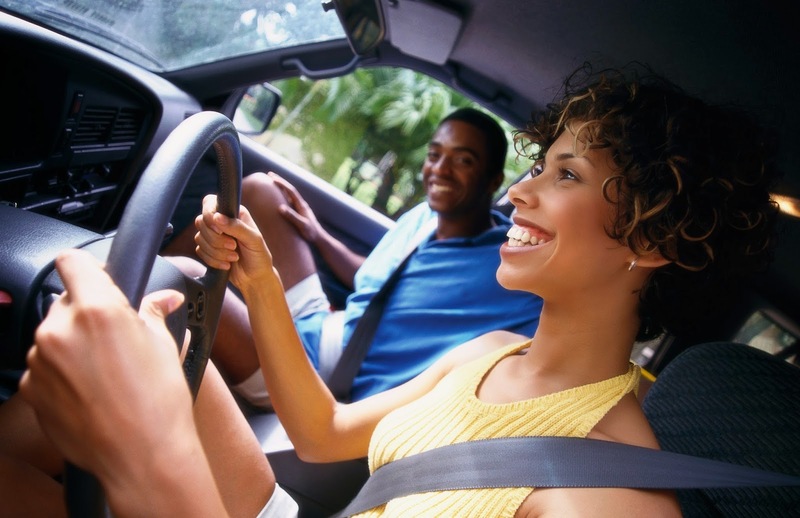 Read some tips on how to prepare your teens for safe driving. Getting into an accident can be stressful and chaotic; it’s difficult to remember what to do immediately following a collision. Many people are unsure about what information they need to share with and collect from the other driver. Washington State Patrol has pointers for drivers who are involved in a collision. The National Association of Insurance Commissioners (NAIC) has a free mobile app called WRECKCHECK for iPhones and Android devices. The app takes you step-by-step through creating an accident report, allows you to take photos of the scene and document only what is necessary to file an insurance claim. You can even send the completed accident report to yourself and your insurance agent. If you don’t have a smartphone, you can download a printable checklist to keep in your car with your other documents. It’s best to start the claims process as soon as possible, while the details of the accident are still fresh in your mind. Report the accident to your insurance company. You will need the police or incident report, your insurance information, and a copy of the accident report you created at the scene. Your insurance company will walk you through the claim process and can tell you whose coverage will pay for damage, rental car expenses or medical costs as a result of the accident. Take notes during conversations with insurance companies, claims adjusters or auto shops, including names and contact information of people you speak to. Read more about understanding auto insurance, what happens if your car is totaled, filing an insurance claim and more on our website.